P.G Wodehouse was born on 15 October 1881, in Guildford, England. It’s a fact you’re probably aware of already, as the social media machine churns out OTD (On This Day) tributes in an attempt to generate content to the masses. This doesn’t bother me per se. I like social media, I like history, and there are worse things we could be tweeting about. But today’s small flurry of activity marking the anniversary of P.G. Wodehouse’s birth has drawn my attention to some unfortunate inaccuracies and misconceptions about the man, his life and his work. Poor old Plum had to cope with a fair amount of misconception and inaccuracy during his own lifetime. In 1960, Wodehouse’s publishers whipped up a flurry of activity to commemorate Wodehouse’s 80th birthday. As Geoffrey T. Hellman, who was induced to interview Wodehouse for The New Yorker, reported. “Congratulations on being about to be eighty,” we said. “Save them,” Mr. Wodehouse said. “I’m going to be seventy-nine. Just like the well intentioned folks at Simon & Schuster (circa 1960) not everything written about Wodehouse online ‘adds up’. Yes, dash it all, I am referring to Wodehouse’s wartime controversy! There’s really no excuse for misrepresenting the facts. A summary of the events and transcripts of the humourous broadcasts Wodehouse made from Berlin (after his release from a Nazi internment camp) are available from the PG Wodehouse Society (UK) website. Much has been written about this episode in Wodehouse’s life — try Robert McCrum’s biography, Wodehouse: A Life or Wodehouse at War by Iain Sproat. It would be unseemly for me to rant about ‘fake news’ at greater length on what should be a happy occasion — the 136th anniversary of Wodehouse’s birth. I plan to spend the remains of the day re-reading Uncle Fred in the Springtime. Uncle Fred always calms the nerves and soothes the soul. 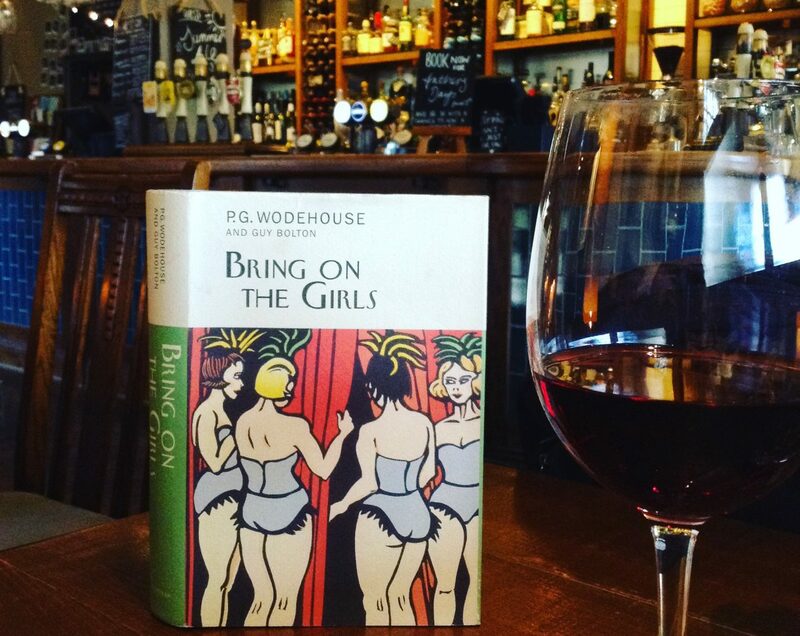 It was a feeling Wodehouse must have known well, having given so much joy to his readers. Uncle Fred – what a wonderful companion to buck one up! Life has got me down among the wines and spirits lately, so I will take a leaf from your book and pull out my Ionicus-covered, well-worn paperback (with its inscription of “1976” in my teenaged scrawl) and immerse myself in the idyll of Blandings. Thank you! Nice piece as usual and we are grateful for the reminder that the world could be as balmy as it is in Plum’s world, mainly due to people like you. What a great way to celebrate his birthday! Wonderful post on a thoroughly good chap! Love Plum. Have been reading and re-reading him since I was about ten or 11 (my grandparents had many old hardbacks of his from the ’30s, ’40s and ’50s) and am now 55! The greatest writer ever – bar none – and only Gerald Durrell (a Zorro of the pen, himself) comes close to capturing the joy of life and human eccentricities and foibles that marble the Wodehovian canon. Thanks David. I quite agree. I feel privileged and very lucky to have ‘found’ him. I just finished an n-th reading of Service With a Smile, and cannot help smiling at that wonderful world. Bless his soul, and may his tribe increase!